The rest of the weekend as I am told it happened. 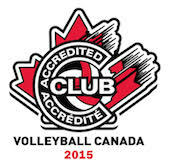 Gold in Kings City at 13u Boys and in Kingston at 14u girls among other highlights. The youngest of our boys were on stage once again and this time it was a treat for parents and players alike. The 13u DiamondBacks and Copperheads were in Kingston and had great days, once they were actually able to get started. Apparently a permit issue caused a 2.5 hr delay to the start of proceedings But with only 6 teams the event went quickly. With such a small sample size and both teams in the playoffs on the same side of the draw, an inevitable collision was slated for the semi finals. Mentor coach Paul Rainville’s DiamondBacks narrowly slithered away with a win over the Padawan Simon Doyle’s CopperHeads. The D’Backs would then go on to claim their first Gold Medal of the season while the Copperheads fell in the Bronze. 50% of the final 4 being Maverick teams leaves this old steer snortingly happy. Meanwhile in Kingstown or Kingston as it more commonly known, the 14u Trillium event, was a Maverick festival with 4 of 9 teams (Banditas, Desperados, Rattlers and Sidewinders) being of the local pedigree. All Maverick match-ups were bound to happen and you know the old saying, you can’t tell the players without a program... even with one it would be hard to follow them in a timeline so let’s try this. John over Andy then Andy losing to Andrei and Andrei winning over John followed by Andrei over Misha all of which left Banditas with the Gold, Desperadoes with the Silver and Rattlers finishing 4th,within a hair of a second straight podium sweep in two weeks by our club. The finals were of course a very emotional affair and left both teams with a great deal of respect for what it takes to win such a match. Meanwhile coaches Andy and John were very pleased as both there 13u girls teams competed well in the age group above, and these two teams of Vipers will take the lessons learned and positive signs into their final 13u events this coming weekend. Skip up a level to Championship and the only Mavericks involved were wearing blue and white so no-one wants to hear about my day refing with my son, so let’s go up to Premiere and travel down to Scarborough with the Raiders and Outlaws. Two teams at the top level at such a young age hasn’t happened for us very often. Where this will take us down the road will be interesting for many of us to see. The Outlaws came in with a lofty 4th place seeding while the Raiders were sitting in the midst of the pack at 7th in a ten team draw. Coach Nick Krawchuk’s Outlaws got off to a blazing start with some of their best volleyball of the season and a sweep of the Leaside Lightning. And Titans Elevation but a Split with Durham set up a very tough quarter against the #2 Titans Quest which didn’t go our way and then fell to 7th with a loss to possibly the best 13u team in Ontario, Aurora Storm. Some work ahead but the girls are showing such great promise with stellar performances like the first of the morning, we just need to keep that level up all day says Master Coach Mohammed Shaheen. Meanwhile in the A pool, the Raiders and coach Rob McMullin didn’t have too many ups in their day on the scoreboard, but the girls did compete well all day, just consistently coming up a hair short. This resulted in only one win to avoid ninth and having to settle for a 7th as well. Without the Raiders facing off with the Outlaws, it means the debate will have to wait for another day to see which of these two teams will rise up and take their perch in the top teir at the OC’s. These words come to us from the coach of the 18u Colts who were in Oshawa on Saturday. When asked how his weekend went coach Aaron Wade reflected on more than just the scores, but the bigger outcomes of what we all do. “Love the game” – This weekend’s 18UG Bugarski Cup marks the last regular season OVA tournament for several Maverick Colt players. There was a sense of satisfaction that stems from knowing that it has been time and effort well invested. Sports remain a great metaphor for life's more difficult lessons. Love the game for the pure joy of accomplishment; Love the game for everything it can teach you about yourself. Just love the game. Go Mavs Go! Again keep an eye out for more.